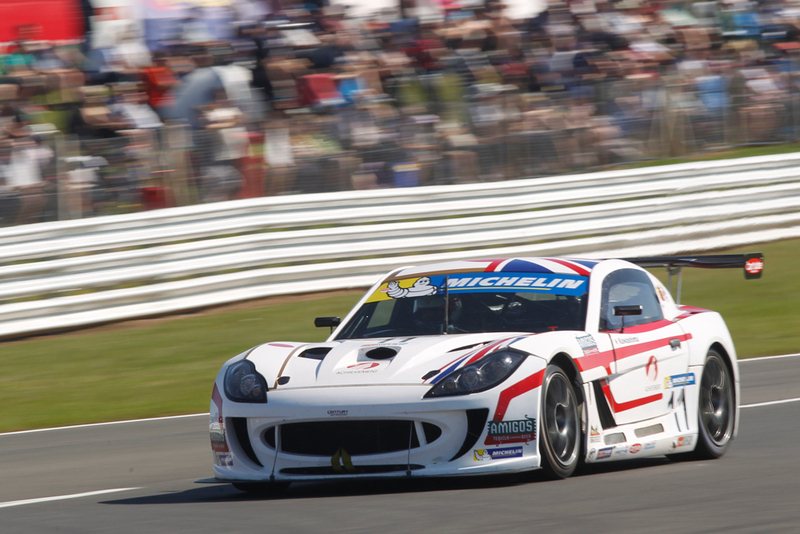 Century Motorsport continued their superb form in the Michelin Ginetta GT4 Supercup with a sensational weekend at Snetterton, a double victory for Tom Oliphant moving him into the outright championship lead. Carrying over his momentum from a double success at Croft prior to the summer break, Oliphant was once again the driver to beat in the sweltering Norfolk sunshine – a weekend he started in style by topping free practice one on Friday by over a second. After ending the day top of the timesheets by four tenths of a second, Oliphant continued to lead the field in qualifying as his best effort of 1m 54.395 smashed last year’s pole time by nearly a second to secure a second pole position of the season so far. With confidence high, Oliphant streaked clear of the field by over half a second a lap at the start of the opening race, going on to beat the existing circuit lap record by six tenths of a second en-route to a commanding victory. It was a repeat performance in the second race, with another dominant showing from Oliphant seeing him pull clear to a 6.4 second victory – the only slight disappointment coming with his new lap record being beaten by an opponent. 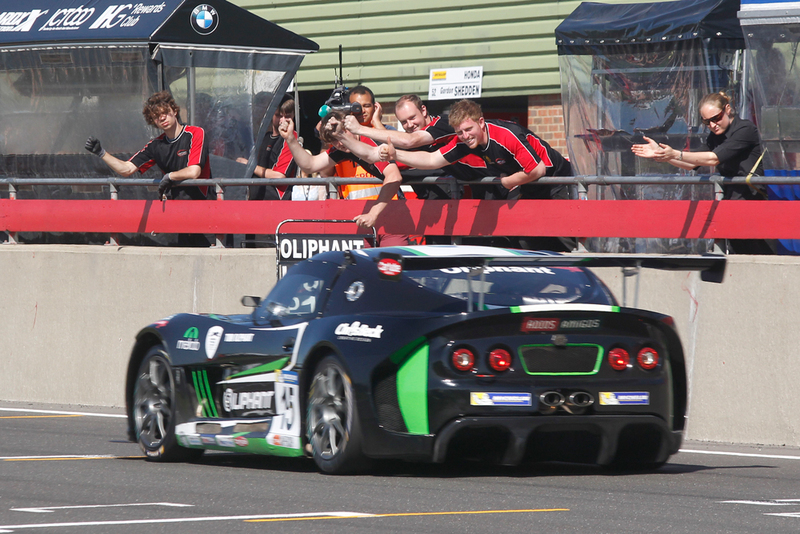 Placed fifth on the reverse grid, Oliphant was able to show his fighting credentials in an action-packed final race. Coming out of a busy first trip through Montreal still in fifth, Oliphant was soon able to go on the offensive, expertly passing Carl Breeze and Will Burns in the next handful of laps. With the race’s fastest lap in the bag, Oliphant’s attentions turned to pressuring Michael Caine in second. Their battle came to a head at Montreal in the closing stages when a late move from Burns spun Caine around, with Oliphant picking his way through the incident to emerge in second place – making it a superb eight consecutive podium finishes and with it a thirteen point championship lead. For Ollie Jackson, it proved to be a mixed weekend as he aimed to replicate his podium finishing exploits from Croft last time out. Posting the eighth best time in Friday practice, the former BTCC racer went one better in qualifying with a lap of 1m 55.896s. Contact off the line would prove to be his downfall in the opening race though, with a resulting slow puncture eventually costing him a hard-earned fifth place finish when it blew on the penultimate lap – resulting in a thirteenth place finish in the pitlane. Starting from the same position in the second race, Jackson showed his overtaking prowess as he gained six places by the end of lap two to settle in sixth. From there, a composed drive saw him pull clear for an eighth top six finish of the year – his highlight of a weekend that ended with a broken upright following contact with Bradley Smith whilst battling for sixth in race three. Osamu Kawashima, the AM class championship leader heading into the meeting, showed great improvements over the course of the meeting against one of the biggest AM class entries of the season so far. After showing huge progression in Friday practice around the complex Snetterton 300 circuit, Kawashima took sixth in class in qualifying – a position he quickly made progress forwards from at the start of race one as he climbed to fourth in class on the opening lap. Maintaining his class position throughout, Kawashima benefitted from incidents ahead to climb to tenth overall, his fourth outright top ten finish of the season so far. An unfortunate early spin in race two though meant he had to settle for sixth in class at the end. Race three would be his strongest of the weekend though, as after gaining a spot on the opening lap, he benefitted from an incident ahead on lap two to rise up to second in class. While he lost that spot soon after, a measured drive saw him take third at the flag for his eleventh AM class podium of the season so far – with a post-race penalty for a rival promoting him to second. 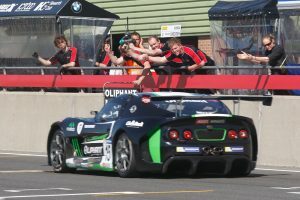 Alongside Oliphant taking the championship lead, Jackson sits eighth in the championship standings, eight points shy of race three winner Tom Wrigley, while Kawashima holds second in the AM class standings, ten points off the class lead ahead of the next rounds at Knockhill in Scotland on August 22/23.